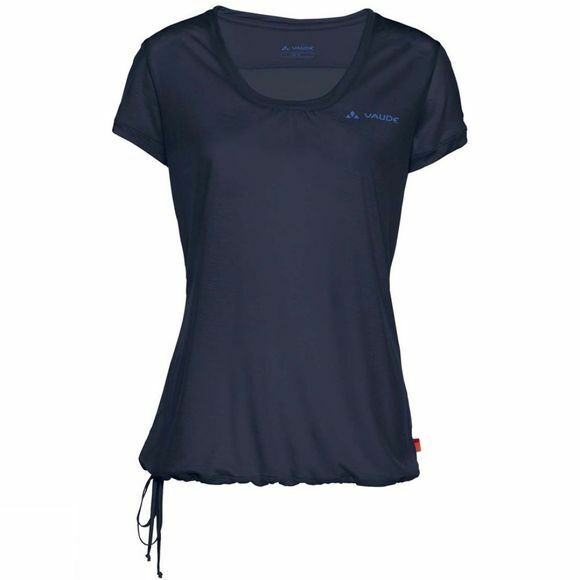 The Womens Vallanta II Shirt from Vaude is an uncomplicated, airy basic made from soft flowing Tencelmaterial, a twisted collar and form fitting adjustable bottom hem drawcord. Tencelhas a smooth, cool drape transports moisture quickly outward and is fast drying, wrinkle-resistant and easy-care. Eco-friendly Tencelis softer than silk, cooler than linen and is of botanic origin since it is extracted from the raw material wood. 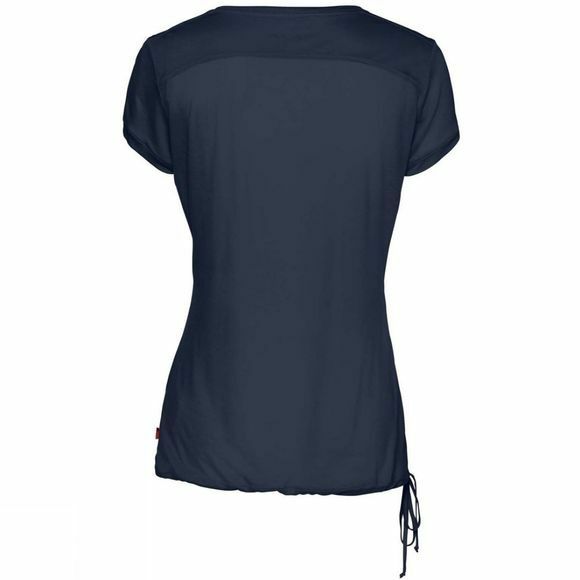 This top is sweat-stain resistant and keeps its shape all day long, two more properties its own is sure to appreciate. Made in Europe. The Vaude Green Shape label stands for environmentally friendly, functional products made from sustainable materials.